Meet FISH & CHIPS! These adorable brothers are too cute for words! They were rescued from a dangerous life of trying to survive on their own. 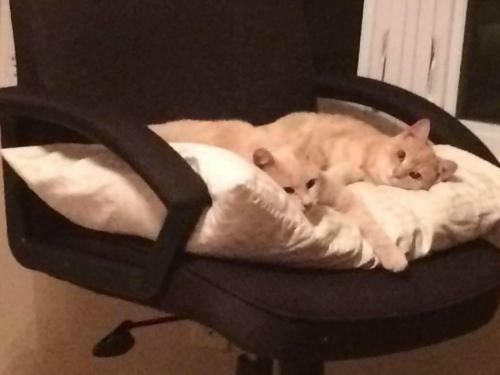 They love to cuddle with each other and love to get attention from people. They are great with other pets including cats & dogs. They give lots of feedback with purrs and snuggles when getting attention. 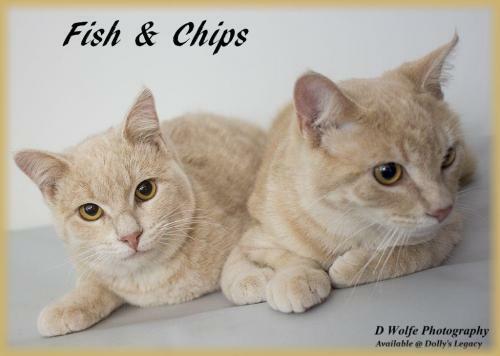 We hope to find them a home together since they have been through so much in their young lives & are bonded. 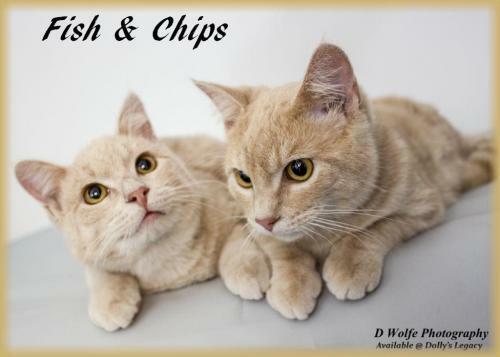 Fish & Chips are Orange Tabby boys, born June 2015. They are neutered, microchipped, dewormed, vaccinated. Adoption fee for the pair is $150. For adoption guidelines and to submit an application, please go to this link. We are a foster-home based rescue group and do not have a facility. The first step is to have you complete our online adoption application. All adoption appointments are scheduled after your application has been approved. We are 100% volunteers & will generally reply within 3 days of application submission. PLEASE be sure to answer all questions completely or it will delay processing, be sure to include vet phone#. If you have any questions please email DollysLegacy@aol.com. Please 'LIKE' our facebook page to learn more about our rescue, see more pictures & get updates on all our adoptable pets!